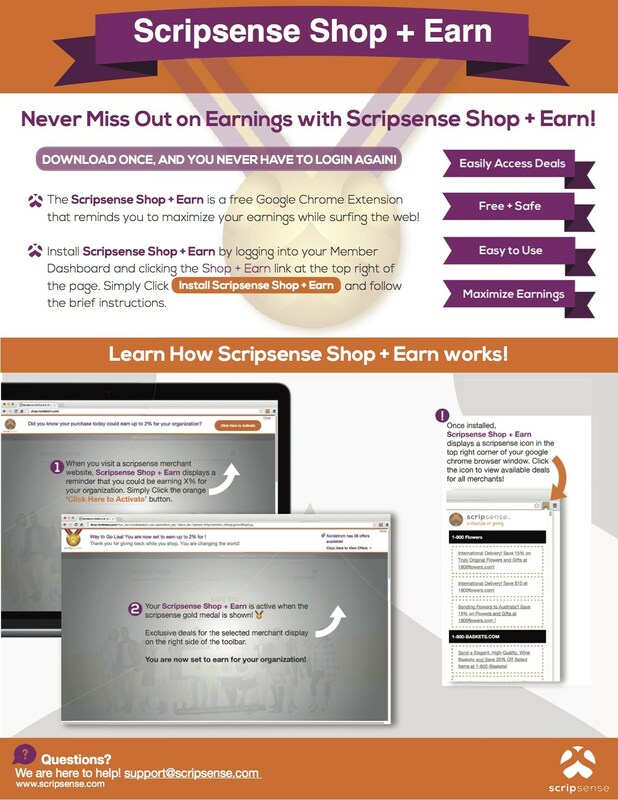 We have started a new fundraising program with scripsense! You can help earn PTG Assessment credit through­ your every day shopping! To get started, email Mrs. Fajardo ffajardo@csdo.org and request a registration link. Once you receive your email from scripsense, click on your personalized link in your email to register. Shop online or for eGift Cards and a percentage of every purchase (less your transaction fees) is saved and will be credited back to you! It’s that simple! You have the power to fundraise your PTG Assessment and Tuition. Email ffajardo@csdo.org for a registration link.